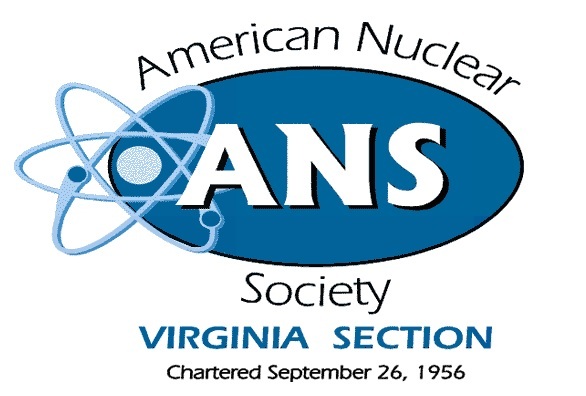 The Virginia Section of the American Nuclear Society (VA-ANS) was chartered on September 26th, 1956. Its mission was, and still is, to promote the advancement of nuclear technology and professions in the Virginia and surrounding areas. Currently, VA-ANS has over 100 members representing Richmond, Lynchburg, the Tidewater area, Charlottesville, and the Dominion nuclear stations (North Anna and Surry). Monthly meetings bring members together to socialize and learn about industry trends, new technologies, and interesting projects. Payments may also be submitted at any meeting.